We service the Lafayette and West Lafayette area, including the towns of Otterbein, Klondike, Delp, Dayton, Monticello Indiana, Americus, as well as animal control in West Lafayette, Lafayette, Montmorenci, Battle Ground, and wildlife pest control in Crawfordsville, Frankfort, Shadeland, Delphi, Monitor, West Point, Carroll County, Clinton County, and animal services in White County, Fountain County, and Warren County. There are many Lafayette pest control companies, but most deal with extermination of insects. We deal strictly with wild animals, such as raccoon, skunk, opossum, and more. Indiana Wildlife Specialties differs from the average Lafayette exterminator business because we are licensed and insured experts, and deal only with animals. We are not merely trappers, but full-services nuisance wildlife control operators, offering advanced solutions. Lafayette wildlife species include raccoons, opossums, squirrels, rats, skunks several species of snakes and bats, and more. Many animals can cause considerable damage to a house, not to mention contamination. We offer repairs of animal entry points and biohazard cleanup and we guarantee our work. Our Lafayette rodent (rat and mouse) control is superior to other pest management companies. All of our wildlife trapping is done in a humane manner. Of course, we are properly Indiana state licensed. We are highly experienced in Lafayette raccoon removal, squirrel removal, bat control, and more. Greenfield, Frankfort, Crawfordsville, Greencastle, Martinsville, Rushville, Shelbyville, Greenwood, Franklin, Moorsville, Lebanon, Brownsburg, Caremel, Newcastle, Noblesville, Anderson, Rensselaer, Logansport, Monticello, Wabash, Peru, Marion, Gas City, Hartford City, Ellwood, Tipton, Alexandria, Muncie. We at Indiana Wildlife Specialties believe we are the best Lafayette trappers of wildlife, and would be happy to serve your Lafayette bat removal or pigeon and bird control needs with a professional solution. Skunks, moles, and other animals that can damage your lawn - we trap them all. 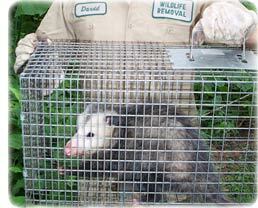 Our professional pest management of wildlife and animals can solve all of your Lafayette critter removal needs. Our specialty is removal of animals in homes such as raccoons in the attic or squirrels in the attic. If you need Lafayette pigeon control, Canada geese or other bird removal, we can help. We are experts with skunk problems, digging animals such as armadillos, & groundhogs, and we offer Indiana dead animal removal. We trap mice and voles. We do home repairs, animal prevention, and removal of critters from the attic, ceiling, basement, animal in the wall, and any part of a building. Give us a call at 765-252-0343 for a price quote and more information. 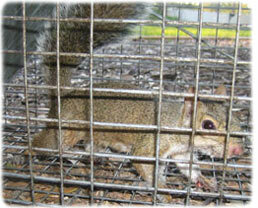 Remember, we at Indiana Wildlife Specialties run a wildlife removal company, and charge for our services. If you are searching for help with a dog or cat issue, you need to call your local Tippecanoe County animal control or SPCA. They can assist you with problems such as a dangerous dog, stray cats, lost pets, etc. There is no free service in Tippecanoe County that provides assistance with wild animals. Scratching In Walls: How To Remove Pests - Rodents in your walls can be an absolute nightmare. They can cause immense amounts of damage to the framework of your home and by using your insulation as their own personal bathroom they can cause you to have to replace all of your wall insulation. The most common symptom of a rodent or rodent family in your walls is scratching and scuttling noises during the day and evening. Rodents are usually most active during the daytime as, unlike many other rodents, they are not nocturnal. There is a good chance that once you have heard a little scratching inside your walls, it will soon multiply - it is commonly known that wall insulation is a favorite nesting place for mother rodents! You can tempt the rodents out of your walls with juicy morsels of their favorite foods - these include bird seed, nuts, as well as fresh fruit and vegetables. If you put these foods in a raccoon type trap with a one-way door, you can catch the rodents. Once you are sure that all of the rodents are out of your wall, you will need to do a thorough check of your wall insulation. You may need to replace some of it. Then you can seal the wall up and ensure there are no gaps or holes. Where the wall is weakest, you may want to add some sheet metal or some chicken wire so that the rodents can't gnaw their way back in. The county incurred costs of over $20,000 when Humane Society officials and Indiana State Wildlife officers had to seize 77 opossums from a home in Lafayette. Other incidents involving wild hogs and raccoons have also cost the county money. Vermin regulator Deb The Montmorenci pest control specialist noted that Lafayette may have been required to hire a part-time animal control officer when the area passed tougher ordinances following the 1373 death of the Otterbein pest control specialist in an attack by a wolf-dog hybrid in National Mine. Also on the county board's agenda: The Lafayette County Planning Commission has recommended support for a Township highway corridor enhancement grant application to the state Department of Transportation. "The grant would provide enhancements both visually and functionally through landscape and non-motorized trail improvements between Shadeland and Lafayette," Wildlife management officer The Lafayette exterminating company expert declared. "It would take place concurrent with a planned MDOT road project." The board plans to discuss changes to retiree health insurance and the sale of two county-owned four-plex buildings at K.I. Sawyer for $76,000. Also, the board plans to consider an amendment to the Sawyer International Airport emergency response agreement. The Vermin regulatory board of the Whole recommended an $17,500 contract with the Tippecanoe County Township fire department to provide backup protection for the airfield. If you need Lafayette raccoon removal, rat trapping, squirrel removal, or have any questions about a wildlife problem in Lafayette, please give Indiana Wildlife Specialties a call at 765-252-0343, and we will listen to your problem, give you a price quote, and schedule an appointment, usually same day or next day, to solve the problem.